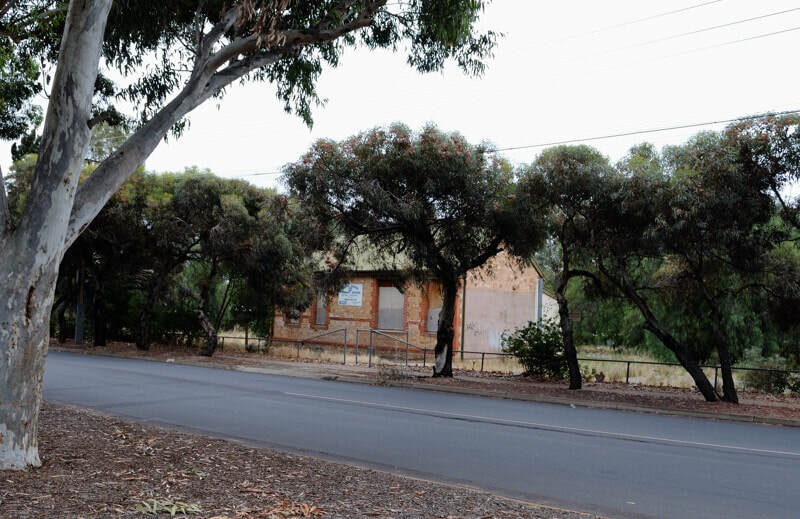 (above) Yet another government welfare house boarded up in Woodville Gardens while the South Australian government corruptly spends huge amounts praising themselves in the media. 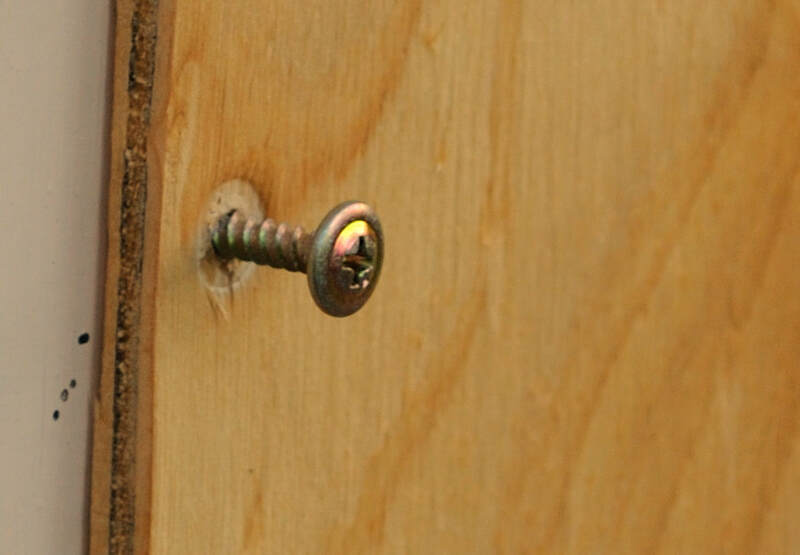 (above) The screws holding the plywood over empty Housing Trust house windows are surprisingly easy to remove. 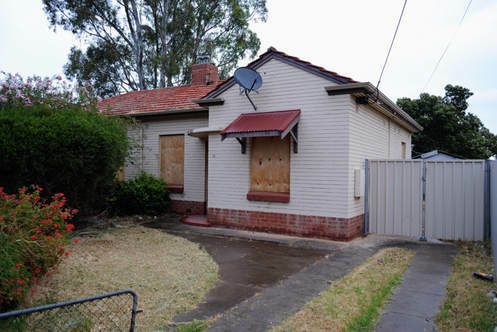 Would the South Australian state government prosecute anyone who broke in and lived there? The free food program is closed over Christmas and reopens about 8 January 2018. A man rushed towards the Grand Junction Road shop thinking perhaps he was first, but he was seventeenth and couldn’t get in the front door. Actually, they had free cucumbers as well and the spuds were top quality. The free bread and pastries from Baker’s Delight were also top quality. Other free stuff included elderly unhealthy Tim Tams, excellent Bellamy’s crunchy dried apples that were 100% snap dried apples. They were for children aged 12 months and above. (I should have grabbed ten packets.) They also had the usual strange soup mixes and a few other free items plus used books. It was a productive visit for myself, costing one-dollar. The lady who works with Kat Lee and calls herself Hitler was less Hitlerish than usual. They also had free hampers for certain people, but it was not clear how some people got them. Food for the Community is closed and reopens on Wednesday 9 January 2018. Out-of-date Food Bank groceries at 25% to 75% of normal retail prices. Free fruit, vegetables, good bread and certain other products available for a one dollar donation. “To everyone involved with this website (in whatever capacity) I hope that your Christmas is tolerable and that you make it safely into the new year. I won't say "Merry Christmas" because unfortunately there isn't a lot to be merry about in this state (nor has their been for some time) but regardless, find your inner strength, be as good to others as you can, fight back as hard as you can and don't let the bastards, grind you down! “My thoughts go to those of us in the community who are; no longer with us or facing issues that cause pain, harm, sadness or alienation. If we are to remain on a Christmas theme I guess I could say that Jesus was born poor, he grew up poor (he never went to school or owned a pair of shoes apparently) and he died poor, nailed between two thieves at Calvary. (He also abhorred rich, celebrity type people, throwing the money lenders out of the temple and stating it "would be easier to pass a camel through the eye of a needle, than it would be for a rich man to enter heaven...") He also said "Blessed are those who hunger and thirst for righteousness, for their reward will be, a place in the kingdom of Heaven........"
“Keep listening, keep talking and keep commenting. The more dialogue and discussion the less power their is to corrupt and harm.. THE NIGHT TALKER- AKA THE BIN DIVING QUEEN OF THE OUTER NORTH!!! Two Hutt Street Centre junkie dealers have feted the Ice Man for the past year. These junkie dealers are very successful in avoiding gaol time. They want The Ice Man to join them in an attack on an older person connected with his website. However, from previous observations, when the time comes to commit the act, they get others to do their dirty work. Thus, they have chosen the The Ice Man as one of the fall guys. Will flattery and pseudo companionship be his downfall or will be see beyond it? Does Ice Man Dan know that the dealers have chosen him to be their Manchurian Candidate? Damian has been there for the past month, much of it in the intensive care unit. His pancreas is filled with pus and he is in extreme pain. He has also suffered multiple organ failures. He will be there for at least the next month. Reports vary on his health condition. Some friends remain upbeat while others say he is near death. The good news is that he has not had a smoke in weeks. We look forward to seeing our friend back at St Bede’s. His foot has become infected again due to diabetes, but no new amputation is planned. However, Wayne believes he is in danger of losing his foot. The hospital robots do not impress Wayne, but he says the food has improved since his last visit. He says it is like a hotel. His major complaint is the cost of television in his room, which is $6.50 for four hours; $13.75 per day; $45.00 for four days or $228 for 28 days. However, there is a free TV room and patients can use their laptops. Wayne adds that some people in the homeless scene are unhappy at his continued absence because they are no longer able to abuse him. On Thursday evening at Fred’s Van in the city before Christmas, there was so much food they could not give it away. Numbers were down at various soup kitchen venues. There is much sadness at Christmas in the underclass scene. Some Chinese people brought socks and mince pies, the Sai Baba group brought vegetarian beans and rice that was “cooked beautifully,” according to one client who eats meat. The elderly Vietnamese woman was there. “The old Chinese lady took everything in a wheelbarrow,” another guest laughed. Fred’s Van at St Bede’s Church Hall has finished until Sunday 6:00pm on the 11th of February, at least. It is difficult to see them restart even then at St Bede’s because carpenters are replacing the floorboards of the hall to meet the requirements of the famous Desalyne dancers. St Bede’s does not want to lose them. The St Bede’s Drop-in-Centre is likewise seeking another venue during the rebuilding process. It will, however, continue services through the holiday period. See the Free Food Guide for times and addresses though these may not be accurate. (above) A disabled white man aged about 45 changing his shirt at the front of an abandoned hardware store in Port Adelaide, South Australia. His left arm shook and he moved with an awkward gait while relying on a walking stick. (above) Most people living outside are rarely seen. 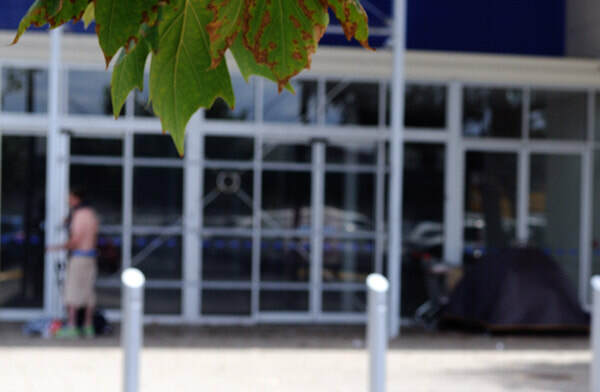 However, individuals and small groups occasionally take a stand, like at this Mitre 10 hardware store in Port Adelaide, until they are inevitably moved on. The slow punch of Christmas starts in October like a fist in the solar plexus that brings tears to the eyes. Festive season ringtones, Christmas carol muzak, plastic pine trees in shops: they're the harbingers of emotional collapse. You adopt a fixed smile in early November telling the world Christmas will be fine and you won't be sad and lonely, again. “It’s just like any other day,” Trevor tells me as we sit on a dusty footpath, cooling our backs against a concrete office block while waiting for the "homeless" food van. “Except everything’s shut,” he adds, his eyes rounding dangerously. “It’s not right to stop essential services at Christmas,” I say, as the van pulls into the courtyard. Sometimes the food van doesn't turn up on Christmas day," he says as we sprint across Gawler Place to join the queue. "The church people got their own Christmas," he continues. "Last year the Salvo van didn't turn up but there are lots of special dinners to compensate." Christmas can be terrible when you’re down and out. People retreat to trusted groups and outsiders become objects of scorn and pity. “What are you doing here?” a man asked incredulously, two years ago, from the window of his shiny 4WD outside my tent pitched on the mudflats near the submarine factory. “Camping,” I said, as his dog scented my tent. “On Boxing Day?” he sneered, as his dog pissed on my leg. “Food,” shouted the short Italian Elvis last week at a charity meal when I asked if he hated Christmas. Dominick cleaned the public toilets for years until the Council bulldozed them to sweeten the view for new apartment dwellers across the street. They now look down on the Teen Challenge food van instead, and the former cleaner now on welfare. “What about Christmas day?” I ask. Last year the Jasmin restaurant, working with a Pentecostal church, laid out a mid-December Christmas dinner for the homeless crowd in Hindmarsh Square: linen table cloths, six waiters, first class food. I thanked the owner but somewhat embarrassingly began crying. It was a Gothic mix of splendour and savage humiliation as office commuters walked through our gathering in disbelief. December also brings "carpet baggers": strange people unknown to regular patrons who descend on end of year slap-up dinners. One odd event involved a politician, a priest and a camera crew turning up at one Christmas Day meal, and accompanied by a security guard to stop grateful patrons from smashing the camera. It's difficult to hide during the festive season. Holiday goers find you in the most secluded places then demand your life story and reason for being "alone at Christmas". Another jolt is the chill factor: happy diners at outdoor restaurants freeze as you walk by; security guards in public spaces pull out their phones. But the worst assault is genuine pity: a sharp knife thrust into your guts. A woman invited me to her house on Boxing Day when I was living in the cemetery. We knew each other through a food co-operative. “Thanks, okay,” I said, looking forward to it. “We always invite five or six single men with nowhere to go at Christmas,” she replied. My face clenched with hate and humiliation. I'd thought she'd considered us equals. “You shouldn’t be too negative about it,” Joshua, a former real estate agent told me last week at the WestCare Baptist fish and chips lunch. "St Luke's put on a great Christmas dinner," he continues. “I sat next to a former Lord Mayor of Adelaide last year. He said he went to St Luke's as a kid for the one-penny breakfasts." Contrary to popular opinion 80% of the "homeless" at any one time live in accommodation, often temporary, expensive and horrible. We "homeless" are actually the poorest of the underclass but who nevertheless fulfill an economic function. The holiday season for us resembles harvest time. One man with Greeting Engineer skills stands outside shops and offices in December, unofficially wishing customers the best of the day, and graciously accepting "financial favours". Christmas brims with generous tips for Big Issue Vendors. Even those walking endlessly from dawn to dusk, faces cast downward in depression and shame, find the ground alive with coins and cigarette lighters. Alcoholics find bottles - open and sealed - waiting for them on street curbs after midnight. And for can collectors it's 14-hour shifts. Free food services also offer bags of extras like soap, Chinese toothpaste, towels and deodorant shaped like male genitalia. They're small gestures, but for many, well, this is Christmas. But the issue of reduced "homeless" services remains. Many church-based centres heroically maintain limited hours even on Christmas and New Year's Day. Others shut for two or three weeks as if saying to their clients: we're closing; you can go home, now. But showers, laundry, food, baggage storage, nurses and refuge from the weather are essential services for those outside. And you can imagine the outrage from the rest of the population if their basic human needs were reduced at Christmas. Editor: Thanks to Norm Barber for permission to reprint this article. “Will someone please explain to me, why I (as a lowly individual)can fill my entire car boot up with enough (edible) fruit, vegetables diary products and bread found in nearby supermarket bins, to feed everyone in my street for the next week, but charities such as Second Byte and Life Church are not able provide enough for their congregation, who attend for two hours or so, once a week? In the same vein many other charities are putting serious impositions onto people (like you can only go there twice a year). “Something is really, really wrong here??? Either the people who run organisations like Second Byte are not up to the job or food waste is being diverted elsewhere?? Much happening in the CBD for the Hellidays ? St. Lukes 11 a.m. Monday morn 25 Dec.
“How about Central Mission ? “Could be good non-extreme temps before Wed 27 Dec @ 37 degrees C.
“Will try to dumpster dive at Whiskey Square early Saturday morning. Usually find plenty GOOD QUALITY Bakers Delight bread, fruits vegetables. “All it takes is MICROWAVE and transfer to clean packaging / containers to ensure low bacteria counts. “How about Ye Ole Home in the Head ? Complete with eyes as windows, mouth as garage/main door, nose as extra ventilation ducts, ear holes as incoming communication ports...? “And if we lose our head, then there is always the Mind / Soul as a home away from home in the higher places / spaces. “THANKS FER ALL YER WONDERFUL EFFORTS TO LET DOWN-AND-OUTS HAVE A CHANCE AT SOME DECENT INTERESTING LIFE DESPITE SOCIAL EXCLUSION / ABANDONMENT / PARTIAL HOPELESSNESS. South Australia police believe they have found the remains of Peter Glazebrook, 44, in the Onkaparinga National Park, 35 kilometres south of the Hutt Street Centre. The mystery now lies with the man who went into the park with him and returned alone. He is believed to be "assisting police with their enquiries." Peter was well-liked at various Adelaide homeless joints and was seen at the Hutt Street Centre, but was not part of the Ice crowd. Edit: Peter’s best friend said he was not part of the Ice crowd. It was a wrong assumption by myself. I apologise to Peter’s family and his best friend, being his ex-wife. Peter had that uncanny ability to walk amidst an unclean social environment yet remain clean. Donny, the Regretful Can Collector is dead at 57 from a heart attack. His nephew found him sitting in a chair, stiff as a board. Donny spent his childhood from the age of six in the South Australian government operated Wyndana/Glandore children’s home. One of his earliest memories there is of an old man, a government employee, stripping him then placing him at an open window while crouching down and masturbating him. Many of the boys would wake in the morning with silver-haired old man in their beds. When he was released into the wide world, Donny had no living skills and spent a period in prison. 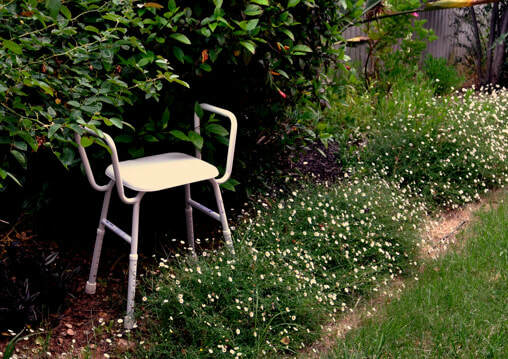 Afterward, he spent years trying to get a job as a gardening assistant with the Adelaide City Council, but without success. It was then he realised his only option was the invalid pension and collecting cans and scrap metal and plastic from rubbish bins. He told me five years ago that his experiences at the children’s home left him with no faith in humanity. He said without malice that he did not care if people complemented or insulted him: it did not make any difference. He said a half an hour socialising at Fred’s Van each day was enough for the next 24 hours. On one occasion, he said he had never had a normal sexual relationship and always expected someone to be watching. He knew the sadly gone Emma Hines who was nervous around him for this reason. After the Ted Mulligan Children in State Care Commission of Inquiry, Donny got just a few thousand dollars compensation because he did not know how to intellectualise his childhood experiences nor engage the right lawyer. Unlike the Celebrity Can Collector, who still seethes with outrage that the Mullighan Inquiry transcripts have been sealed for 80 years, Donny had buried his memories with a layer of cynicism. He was, however, still furious there had been no repercussions for the perpetrators. I first met Donny in 1980 at the Unemployed Workers’ Union offices in Gawler Place across from the current Fred’s Van site in the Adelaide CBD. He had a jet-black beard and long hair and already travelled by bicycle while towing a trailer. He was unemotional and unreadable yet never threatening. Donny had had trouble walking over the past few years and spent time in hospital due to congestive heart problems. He lived in a Housing Trust unit in Bowden. But perhaps Donny had the last laugh by finally beating the institutions by dying quietly in a chair in his home and not in a hospital or hospice. All truculent acts, bleeding the world white. Emerge royally to take the air. Of waiting men. It is genial time. Feeds the five thousand, and has plenty back. Upheld and holed by radio-appeal. In the dark, without a bark or a bite. Of repentance for the false day that’s fled." “I’d hate for my son to be gay,” a man who looked like a kid himself said. He wore custom ripped jeans and carried a small leather container on his waist. He talked to a woman whom he recognised as being the mother of two boys with which he had gone to school. Their conversation progressed to riotous recollections of their numerous overdoses. He said he’d required 4 shots of a drug to wake him up in a massage parlour. He said he’d been nearly dead. They laughed and laughed then talked about the effects of headache pills. I realised that destructive drug use is no longer restricted to a small number of extremists, but has become a large subculture of fairly normal people. This man and woman seemed normal decent people. The Celebrity Can Collector’s cousin was there. He’d lost his plastic card from which someone had removed $200. A druggie diner said he should have cancelled it immediately. Stephen said he knew nothing about that. Most of the 36 seats inside the St Vincent de Paul cafe were taken as were many of the park benches and tables in the undercover area. Others sat on milk crates nearby. The air-conditioning could not keep up as the doors kept opening and shutting. Orange Sky Laundry was there. One of the operators was from Westpac bank. He had lived in his car on the east coast. He gave a leaflet to the man who appears to live outside and whose clothing is usually filthy. Another diner took food to the man who sat isolated and away from the rest of us. He was the only “real derelict” amongst us and should have been on a throne. Same with Homeless Les if he’d been there. The food included cordial, hot dogs, pasta with meat, sandwiches, coffee, tea, oranges, takeaway eggs. I cannot remember the food very well as it was either unhealthy or contained meat or chicken menstruation. I had a bun with margarine and remember the bun being sickly sweet with white sugar. The atmosphere was tense as it always is at this Fred’s Van, but once the demarcation lines are discovered, the experience became quite enjoyable. One diner said Fred’s Van Elizabeth will open on Sundays as well as Wednesdays beginning in early 2018. An elderly woman offered me a ride as I walked out. Best to phone St Vincent de Paul and ask about their Christmas opening times. “Children/young people bin diving. A sign of the times in Adelaide??? “Early this morning (around 1.45am) I was doing the rounds of the last supermarket bin I check out, before driving home. Whilst going through the bin, I noticed a teenage boy, (maybe around 14 and a younger boy (maybe 12) walking up the driveway of the supermarket, where the bin is. Both stood a distance away and watched and waited silently, till I finished bin diving. Both carried plastic bags in their hands. It was a somewhat sad and sobering sight. “Bin divers are naturally wary people as what we do is (not) technically legal, but in most cases, what we do is ignored by the powers that be. Regardless, it has its risks (once I was bin diving across the road from a house at 2am in the morning, when a guy came out of the house carrying a piece of two by four. (He thought I was breaking into his shed) When he realised that I was only interested in getting stuff out of the bin, he left me alone. (Nevertheless it did shake me up somewhat and since that time, I carry a can of (dog) repellent (pepper spray) in my jacket pocket when bin diving, and leave it in my car glovebox, when driving around, alone at night. (above) A shower chair supplied by My Aged Care cost ninety-five dollars with administration expenses being $400. “My dizziness had become worse after Mark Arstall punched me twice in the head. I felt unsteady and at risk of falling in the shower. “Since passing the age of 65, I qualified for home assistance from the Australian government, as if I was a decrepit hunched-over invalid, which is not far from the truth. I wanted a shower chair with adjustable height. Something expensive. The federal government’s “My Aged Care” department had been dumping leaflets at welfare agencies for the past two years. I decided to try them. They resemble a phone company operating out of India with no visible address, just a call centre. You know that when a government department or corporation begins their name with “My”, it means them and not you. However, the “My Aged Care” leaflets promised the world so I thought I would try for a shower chair. I had gone through two long-winded phone calls with them over the previous year. However, they never got past car salesperson talk full of non-specific promises. When I asked for specifics, they got nasty. They told me to sign up and then discover the terms and conditions. They resembled those crooked electricity people from India knocking on your front door. “We give you copy of contract after you sign,” one fake student from Tru Energy told me. He was dragging out a cooking course long enough to get citizenship while working on the side. I decided to take the plunge with My Aged Care and answered 20 invasive questions asked by a total stranger from the myagedcare.com.au call centre. She said I passed and thereby qualified for a 90-minute visit from a My Aged Care lady. She turned up a week later, a young victim of the obesity pandemic who appeared more in need of help than myself,. She asked me what was wrong with me. I said dizziness and low blood pressure. “What else?” she said. I said that was enough to get a shower chair. That annoyed her. She asked me twice more. I asked her if they supplied shower chairs. She was vague then talked about handrails. ‘Yes,” I said, but felt dizzy while she had me bailed up in my bathroom. I asked, “Can we sit down?” as if I was at her house and not vice versa. We went back into the lounge room. I foolishly signed a contract without knowing what it meant. She said she would send out an occupational therapist to see about the handrails. A Home Assist bureaucrat from my local Council phoned the following week. “I’m looking at your file, now,” she said. She wanted to install handrails. I told her to forget the handrails; I wanted a shower chair. An occupational therapist from Resthaven phoned a month later. Resthaven is contracted by “My Aged Care”. She was coming around to see about the installation of handrails. I told her to forget the handrails, but to bring a shower chair. Incredibly, she did. I signed another suspicious contract. She gave me the shower chair. As she went down the steps onto the grass, she snarled loudly one of the nastiest comments I have ever heard from a welfare employee. Later, I looked at the shower chair. It cost the government ninety-five dollars to buy with $400 in administration expenses. “While I think this is a good blog in principle, I do worry that all it seems to do is nit-pick ( or is that knit-pic?). “That moves the blog from being constructive to just being unhelpful and just bitter and twisted. “We homeless might appreciate something more. “I for one would like to hear compliments about those who really help, good news stories, and opportunities for real help. From the Editor: Adelaide Homeless Journal is the only journal in Australia where we criticise homeless welfare agencies. This is deliberate. If you want to hear positive comments about the homeless industry then view the hundred other Australia websites on homelessness that are bursting with positive statements and stories. Nevertheless, thanks for your comment, you make good points. Any compliments you want to make to Adelaide welfare staff would will be appreciated here. (above) The site of the future Salvation Army complex on Anderson Walk, Smithfield. The heritage school building will be preserved. 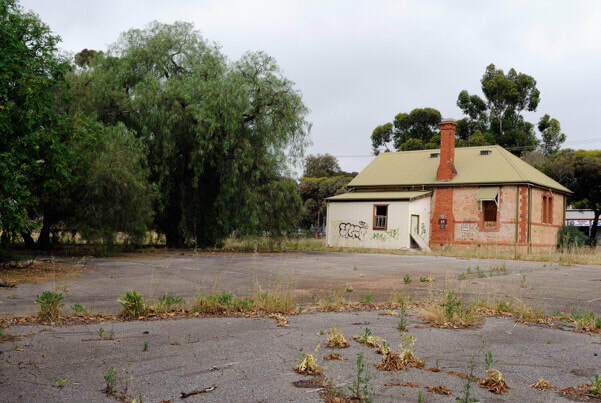 Alcoholic derelicts have already claimed the site so they won’t have to travel far when the Salvos take over. (above) Retired Majors Cindy Shellenberger and Glenda Daddow were instrumental in obtaining this new site to replace the smaller Elizabeth East complex that is routinely broken into. "Rundle Mall really sickening this weekend. An old invalid was having trouble cutting the sausages on his plate at the free breakfast. Then he couldn’t lift his mug of coffee so bent his face over it and bent it over slightly. Another guest suggested to his paid carer that she should help him. She had spent much of her time so far on her phone. “He’ll manage,” she said. “That’s criminal,” someone commented quietly. Actually, the two best paid carers we’ve seen at St Bede’s are both criminals. One was convicted of murder and another of manslaughter in two separate deaths. “Having limited resources at this point in time, I chose for the first time to visit Heart and Soul on Wednesday evening at Elizabeth. “After waiting for my ticket to be called, allowing me to take/purchase food produce, I looked around to see what other kinds of persons were waiting alongside me. “There was quite a large crowd (in excess of one hundred people) What astounded me most, were the number of overweight/morbidly obese people (including overweight children) present. “Perhaps H and S, would be better placed to simply give away free fruit and vegetables and wholemeal/wholegrain breads and some healthy tinned foods and no longer offer large volumes of poor quality and unhealthy produce. At the end of the day, this kind of produce does more harm than good and (as it also sold very cheaply) is used as a substitute for healthier options. Queenstown Community Centre on Mondays from 6.30pm - 7.30pm at 67 Spring Street. Queenstown. Para Districts Freemasons Hall on Wednesdays from 7pm - 8pm at 77 Philip Highway, Elizabeth South. Two Wells Football Oval on Fridays from 11am - 12pm at LOT 43, Old Port Wakefield Rd, Two Wells, SA. Currently outside. Hackham West Scout Hall. 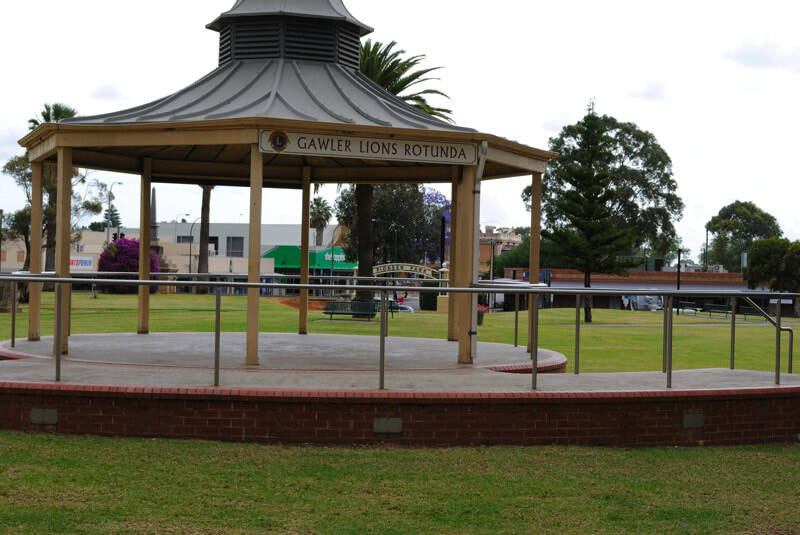 Saturdays from 12.30pm-1.30pm on Roberts Rd, Hackham West, SA. What a different class of patrons to Fred’s Van at Elizabeth. Less desperate, less living on the edge, just as close to death, but from old age. However, Sleepy Bill and Jenny from Do Unto Others at the Salvos in the city were there. And Bev Brooks from the StasiLand free lunch in Salisbury. The ex-horse trainer was there with Libby and another friend. No real derelicts. I sat with a woman who had been a vegetarian since she was fourteen. Perhaps one in six guests put money in the Perspex donation tin including five-dollar notes. I added a note and was disappointed no one was watching. Next time I will begin shouting to attract attention. The food included burritos with falafel, corn fritters with cheese sauce, diced cucumbers, beetroot, pineapple, shredded lettuce, cream followed by cake, raspberries and cream. The ingredients were expensive and top quality. The tables were covered in tablecloths, metal cutlery, nice glasses, serviettes and the room was air-conditioned. The preacher was not there, but another man announced that Ross the Convenor had been married 42 years. Vegetarian meal sometimes with eggs. Free. Sherri Robinson has taken up with James N****** from Wesley Social Enterprises. James shares a room with ******* at the ******** supported residential facility in Semaphore. Friends of James’s roommate have advised him to buy a strongbox to store his valuables. Or to store them in the SRF office. “I will be there when she is,” he said, relieving himself of the need to take precautions. Meanwhile, an ornament that disappeared from “Bernard’s” home near Port Adelaide has returned. The old man’s relatives have speculated that Sherri has returned there with her neighbour, a short elderly woman who drives a small red car. “In response to "Greg Pattinson" of Food Bank would love to be out of a job......"
“As someone who is now rapidly becoming a seasoned BIN DIVER in the Outer Adelaide scene (and ardent blogger of BIN DIVING/Freeganism as a lifestyle choice) I would suggest to G.P. of F.B., that before he decides to quit his job, he first needs to BLOODY WELL DO IT PROPERLY FIRST! “I have now officially lost count of the number of times, I have gone bin diving and been astounded by the amount of good quality food items and usable products, that have simply been thrown away and destined for land-fill. One cooked roast chicken (cooked 5.30pm and still hot inside). One bag of smallgood ends and offcuts (chicken loaf, luncheon meat, roast beef, ham, fritz, etc etc (all good quality) and which I will use as pet food. “Several bags of cheese and bacon rolls and cinnamon scroll buns. Still sealed in bag, with baking date the 9th of December (Saturday) (I took one bag and left the rest) and countless varieties of fruit and vegetables all ranging from excellent to still edible quality. (I filled up a bag for myself and left the rest. “Meanwhile Doris the aged pensioner, and Jim the DSP recipient and Sharon the single mum trying to survive on Newstart are going to (sometimes suspect and other times just plain degrading) Charities, where they are being provided poor quality and limited quantity food items and little to no access to recycled goods, such as what I have mentioned above. (above) The expensive Kill Box installed earlier this year for an infirm 88-year-old tenant with a collapsed lung and inoperable knees. The Kill Box was custom built and installed by the Dept of Veterans' Affairs and Anglicare to make it easier for her to access her unit. However, it is higher than the original step and has not any handrails. Stupid waste of money. (above) This is another version of a stepped ramp built decades ago on a nearby Anglicare unit. 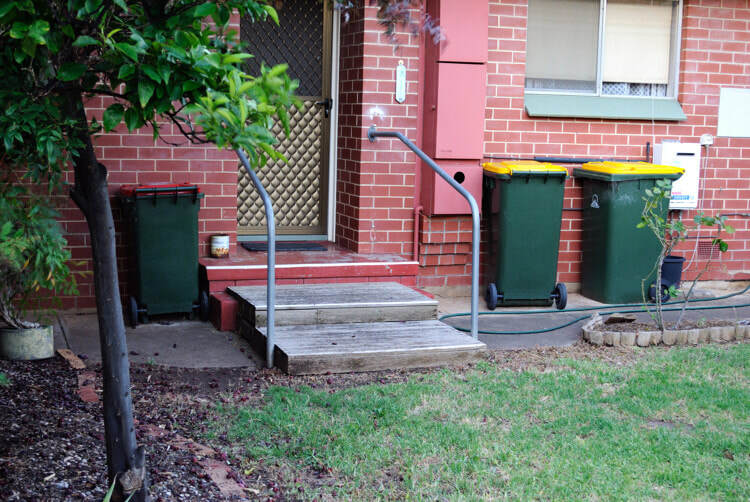 Why did the current crowd running Anglicare and DVA not install similar steps for the 88-year-old? What is wrong with their minds? It is not as if they are stupid. 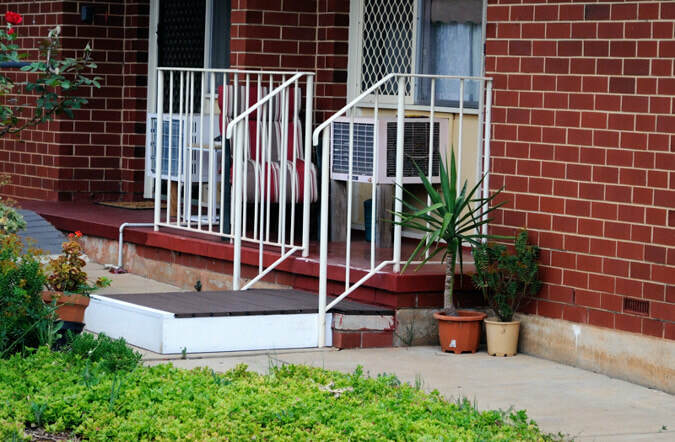 Surely, if Anglicare's Community Member No 1, Peter Sandeman, could build a soft prison for drug dealers, then he could apply his mind to building a decent ramp for the old girl. Free vegetables, fruit, bread and other stuff. No tickets. No waiting this Sunday at 5:00pm. No I.D. required. No registration ever. Influencers Church, 1760 Main North Road, Salisbury Plain. From there you can rush to the Fred’s Van 6:00pm free meal at the Salisbury Institute building next to PBA-FM radio station in Salisbury. An elderly woman collapsed from the heat. Someone muttered “stroke” and there was panic until a Canadian ice skater intervened. The woman drinks little water and lives on Pepsi Max. The ice skater drinks whisky and talks about God. The unfortunate woman cried when an ambulance was called. She said she could not afford it. She had not paid the $49 annual insurance premium despite being 70. She would now be stuck with a thousand-dollar bill. I mocked her foolishness, more in anger than from cruelty. Why do poor people make such mistakes? Anyone her age can expect to require ambulance services. However, a soup kitchen volunteer told me that others took all her money and she could not afford it. This could be accurate or perhaps she spends everything on Pepsi Max. The ambulance took her away, quickly, because they initially thought she might have had a stroke. Luckily, it was dehydration. She is a nice old woman. “On 29 November 2017, I went to the Faith Works/Influencers Church Op shop. The free fruit and vegetables were limited to a few greenish potatoes, some Buk Choy, a single bunch of questionable spinach and a few dodgy apples. It was not clear if a donation was expected, demanded or requested for this rubbish. Three strange looking women dressed in Indian costumes creeped around the aisles. The joint has gone downhill since I was there three months previously. It has effectively become a discount Food Bank store selling out-of-date processed food at prices that the market will suffer. No good. Harry the Dogger and another client said that the Salt Church offers much more than the limited free food on Thursday afternoons. The best free stuff is offered if you phone them and make an appointment to collect it. One client said the staff were very polite. However, one should be aware that they might ask personal questions. Clients are encouraged to arrive half an hour early and buy a coffee from their restaurant. No registration and identification required. According to Harry the Dogger, Salt Church have four secret days of free food that offer more than on the Thursday. “When I was a disability support worker some years ago, I was employed by a private (for profit) disability provider, who was given the contract to provide support for a mentally challenged/behaviourally disturbed client in her mid thirties. “This client came from a very wealthy background (her parents/relatives were more than able to support her independently) but somehow or rather, she ended up being supported by my employer/agency and the government and not her family. “She was provided with a three bedroom trust home in an inner Adelaide suburb, that had been completely renovated before she moved in. Previously it had been occupied by a family of new migrants, who were evicted to make way for her. “When she was at home, she ate continuously (she was morbidly obese at the time I knew her, soiled herself regularly (she was simply too lazy to get up and go to the toilet) and spent up to 16 hours at a time, watching the television or dvds. She did not do any kind of work (or training/study) and apart from meeting with her probation officer once a month (she was a prodigious thief, with more than 86 charges of shop-lifting to her name) she was under no obligation to do anything at all. “Whilst under the supervision of the agency in question (my then employer) she earned the agency supporting her, more than a million dollars (this was close to ten years ago) When the funding for this client ceased (after two years) the agency in question withdrew all support and from what I was told, she ended up in an SRF (boarding house) type arrangement in the South of Adelaide. Editor: Sorry, cannot say. All the usual sources are afraid to talk about anything for fear of the Ice dealer/Homeless bureaucrat syndicate. The coach of the Hawks disability basketball team at Keswick appeared all washed up. His third stroke was the decisive factor. However, the new coach turned out no good. He yelled too much. The captain got him sacked. The captain was his sister. She said he was no good and he couldn’t come to her house anymore, either. The new coach, now the ex-coach, also had problems at home. His ex-girlfriend not only steals produce from the fruit and vegetable shop in the West Lakes shopping centre, but she allegedly stole his new phone. The good news if that the stroke coach is back on the job. He has gained weight and no longer cuts his hair. The Mary’s Kitchen final free gathering for 2017 is at 5:30pm Tuesday 12 December. Registration and I.D. not required. The joint will be packed. They give away hampers and there will be Christmas performances with a rather nice meal served. A few politicians may be present. Maybe Jungle Phillips. Last week, Geoff of Geoff and Sara went off his head when someone yelled at their son, Seth, without permission. 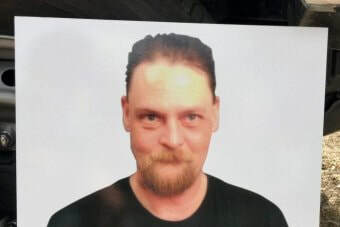 The man allegedly with Peter Glazeman near the time of his disappearance may or may not be there. Adam Tretheway is said to be resigning due to a bad back though he also suffered dizziness caused by an ear problem with a bad prognosis. Adam is possibly the most humble and respected preacher in the homeless scene. He, along with a real estate agent’s excellent wife with brown skin, and the classy volunteers with their abilities to transcend their own personal torments, and the excellent clients, and the heritage building made Mary’s Kitchen arguably the best free soup kitchen in Adelaide. The next free meal at Mary’s Kitchen will be the 30th of January 2018, but you should ask others or phone to confirm. Tuesdays at 6:00pm. High quality staff. Ice dealers watched and reported. Free soup, buns, fruit salad and take-away food. 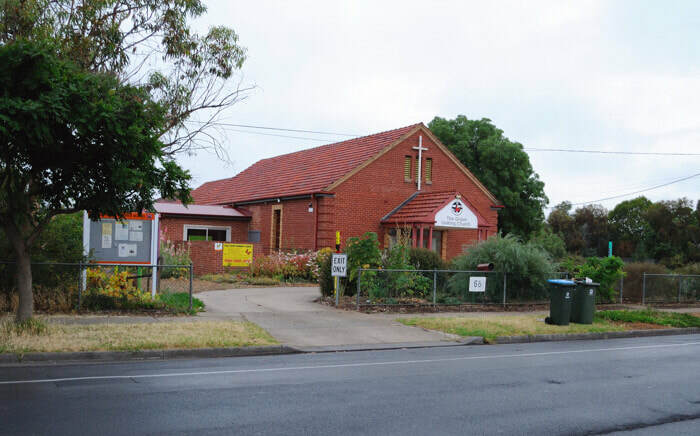 (above) Woodville Gardens Uniting Church offers free fruit, vegetables and bread on Tuesdays and Thursdays from 9:00am to 11:00am with free tea and coffee. The bread arrives about 9:00am with the fruit and vegetables at about 10:30am. Pleasant atmosphere. 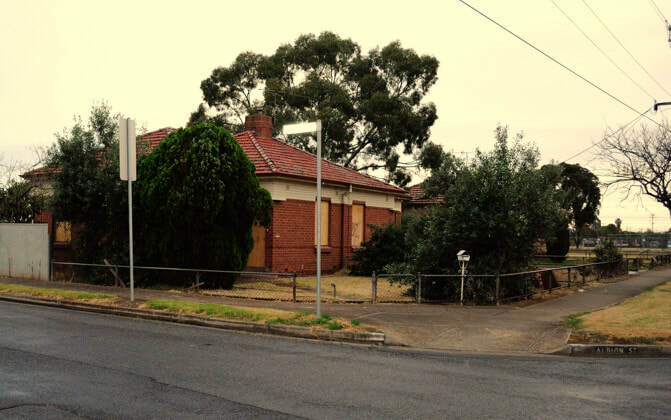 (above) Another South Australian Housing Trust house in Woodville Gardens where the government has evicted the tenants and boarded up the doors and windows. Adelaide Homeless Journal reported some weeks previously that Mark Arstall, 39, threatened a 71-year-old man with death then followed him down the street with his video camera, then put the file on the internet. It was also stated that Arstall and his two druggie associates then went to WestCare for lunch while the old man asked another man to get a takeaway container of food for him from that establishment. Moreover, that WestCare charged 50 cents for a 20-cent plastic takeaway food container. The truth is that the containers are thicker than 20-cent containers and are actually not 20-cent containers at all. They are better than that. More like 50-cent containers. Terry the Gambler’s mid-seventies friend, Jill, can be seen standing on city streets either confused or blank in the mind. She flees when friends from the Sky City Adelaide Casino greet her. She cannot maintain a conversation except to recollect scenes from her childhood. She comes from a wheat farm on the Eyre Peninsula. Relatives have secured her assets via the Public Trustee to prevent predators taking advantage of her. Jill was a regular guest at the free Do Unto Others program at the Salvation Army at 5:00pm every Saturday at 277 Pirie Street Adelaide. The lights are dimming on Jill’s worldly presence. Two clients spent most of the 90-minute session cutting onions for the Bunning’s sausage sizzle where Ann Cooper, Kit-Kat, Rob and Lee earn money to keep Cos We Care going. The 17-year-old client who has finished Grade 12 special school will work at Bedford Industries from early next year. In the underclass society of self-destruction, he is an exemplar of success. A healer with teeth-braces performed a hands-on energy treatment on Ann. A volunteer told me the difference between RAM virtual hard disk and virtual RAM on the hard disk. A client on an invalid scooter had a bandaged hand after carpal tunnel surgery. She has known her husband since she was nine, when he was also a child. A man ate a field mushroom as if it were a sandwich. He later ate the last piece of cake from a cake box. “It isn’t what it looks like,” he said, laughing. Ann took photos of volunteers in preparation to supplying Cos We Care identity badges to match their Cos We Care aprons. She and John (Kit-Kat) spent their lives in business and operate Cos We Care professionally. Clients included two old Indians, a Chinese woman with black stress marks on her face, a black African and two Aboriginals who were just normal Australians. Kris from Gepps Cross Salvos was there with two friends. AJ from Faith Works was there with his Stavos car. The free food included nice cooked pizza, chocolate cake, sprouting potatoes, good mushrooms, good cooking tomatoes (not woody), fresh capsicums, so-so cucumbers, good cabbage, onions, flavoured milk, strange biscuits, cereal and milk, tinned food, tea, coffee, bread and other stuff. The atmosphere was friendly with not a stern word spoken. “The shop is open Tuesdays through to Friday from 9.30am till 4.00pm. If you go to the front counter of the shop and ask for food assistance, you will be directed accordingly. On the way to the Life Church, five or six people dressed as clowns mingled with police and fire fighters after their car crashed on Main North Road. Jamie parted company with the Life Church free food ministry. He was not part of the church, but was its driving force due to his connection with Second Byte. Charlie, Gerry and Elyse have taken over. There was a dispute with an elderly woman who looks after her disabled brother. He grabbed too much, not due to greed, but because he was not able to negotiate the system. Charlie yelled at him, the sister yelled back, and they stormed off, quite distraught. Instead of simply letting them leave as would happen at many free food joints, two or three Life Church women ran after them. They explained how it had been a misunderstanding and overreaction and urged the woman and her brother to come back. Later, Gerry talked about an elderly man who was given charge of an unmarried pregnant woman. When the kid was born, they had trouble with a local ruler who resented the birth. The ruler killed many of the babies in the hope of getting the kid. The kid grew up and got a trade in woodwork, but from the age of 12 told people that God was his Dad, similar to what that old guy at the Salvos at Adelaide Congress Hall tells people. The original ruler who killed the babies was replaced by someone else who eventually killed the preaching carpenter. However, the deceased carpenter returned from the dead and in the following years inspired a major religion based on being reborn into a spiritual body. Gerry spoke more eloquently and sincerely than stated here. He said this is part of the Christmas story. I had always thought Christmas was about buying stuff. The amount and quality of the free food has been in decline at Life Church for six months. Like Food Bank, Second Byte has signed up more organisations that it can properly supply. Nevertheless, they gave six eggs to each client that wanted them along with bread on its last Best-By day plus some nice pastries. The fruit and vegetables were of a quality that by the time you cut off the bad bits, less than half was left and that was of suspect quality. The clients for the free food morning were nearly all elderly and faced serious health issues such as impending death. Nearly everyone was deserving especially the elderly woman who brings her severely disabled brother. The outside chairs were placed away from the front doors and on the bitumen between parked cars, presumably to stop cigarette smoke from bothering non-smokers. However, not many can afford tobacco any more. Moreover, the non-smokers sit with the smokers, anyway. 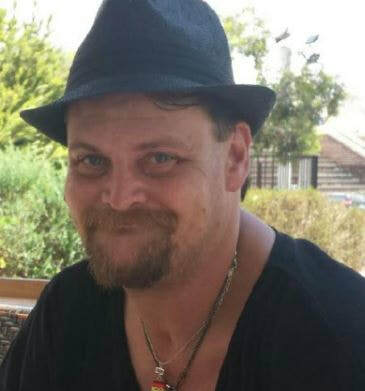 Police and State Emergency Service workers are still searching the Onkaparinga National Park for man-about-town Peter Glazebrook, 44. Peter allegedly went into the national park with another man who came out alone, later saying that Peter had expressed a bit of tiredness and stayed behind. Police have questioned the man. Peter suffered acquired brain damage in a car smash where he reputedly drove a Volkswagen through the front window of a friend’s house. With that, he received a huge injury compensation payout, which made him a prime target for predators. However, his long-term partner, Joanne Sc****, protected him day and night and later gave birth to their child, now a self-assured 12-year-old with impeccable manners and presence. While moving amongst the rough crowd at the Hutt Street Centre, he did not become hardened by their violent and predatory habits. He retained a good-natured and cheeky demeanour similar to that of Nick Xenophon. Peter’s Jehovah Witness mother raised him in the northern suburbs. Peter frequently went walkabout from his and Jo’s home near Mary’s Kitchen in Glenelg. I remember searching with Jo through the underground carpark at Glenelg and finding blankets and library books. We also searched Victoria Square with a police car following our car across the grass. We found him later that night outside a hotel in Hindley Street, refreshed from his adventure and ready to go home. Certainly, the man who left him behind in the park has some explaining to do. A Care Worker in the Adelaide homeless scene named Cameron has landed a job at the new Royal Adelaide Hospital. In a probably apocryphal slant, Cameron’s new job has been described as caring for the hospital robots. What is not apocryphal, but rather apocalyptic is that the Ice and heroin dealers have established themselves inside the new hospital. While some are friends and relatives visiting or waiting for patients to be discharged, others resemble demons with poison candy waiting for overdose patients to be released with pension cheques bursting from their accounts. The Anglicare Lifestyle Inspector visiting the 88-year-old Kill Box Lady told her that they will finally remove the Kill Box. However, this is pending a meeting with “that short thing” and one or two other bureaucrats who will make the decision official. A qualified tradesman will subsequently arrive at the elderly woman’s unit with a screwdriver. He will unscrew the boards and presumably toss the dismantled Kill Box onto the back of his truck and take it to the rubbish dump. Anglicare and the Department of Veterans Affairs have no plans to install an invalid ramp for the woman who has protrusions from her knees that cannot be surgically corrected due to her having a partially collapsed lung. The cost to date of the twenty bureaucrats visiting her unit to consult on the invalid ramp might have built two of them. However, no ramp will be built. Editor: It was a bit crude, but this is how some clients refer to it due to the desperation of addicts who will do nearly anything to obtain drugs. I have removed the term from the posting and replaced it with ‘The Hutt Street Centre’ to better reflect the overall activities conducted within. “What job networks SHOULD be doing for you, if you are a registered client with them. “Meet with you face to face, at least once every three months, (or if unable to do so because of distance or ill health etc) by phone, once a month. “If you need to travel extensive distances for the purpose of job seeking (e.g. job interview or job related training) they have to provide you with means to do so (fuel for your vehicle or a metro card) if you live near public transport, so you can use the bus, train, tram or community bus. “Provide you with the services of a qualified social worker or counsellor, (free of charge) should you have the need to access one. “Manage a job plan that is appropriate, in light of your age, skills, health status, intellectual level/educational status and caregiving responsibilities etc. “Give you up to date information, on what concessions and payments you are entitled too and how to apply for them. “Enrol you in (free) classes should you be illiterate, or innumerate. Why people do the rounds. Last year when Second Bite closed down for Christmas, much of the food they usually picked up from supermarkets went into the rubbish bins. Will Second Bite this year authorise ― or at least pledge not to enact reprisals against smaller charities that operate over Christmas and want to pick up this stuff? “Investigative Journalist for the BBC, Louis Theroux, warns against Australia's soon to be new laws, banning the sale of codeine based medication, over the counter at Pharmacies. “In January 2018, the Australian Government is going to enforce new legislation, that prevents Pharmacists selling codeine based painkillers over the counter to the general public. “Instead, users of these products, will be required to make an appointment with their G.P. and be subjected to a series of questions in regards to why they need the product, and what might be a better alternative. “The better alternative (according to ACDAA, The Australian, Catholic, Doctors, Association of Australia, the largest Doctor based lobby group in this country) involves advising patients to use (top level) health cover to access alternative pain management strategies such as hydro-therapy/heat/sauna treatments, day spa options, medical massage, aromatherapy, lymph drainage massage, acupuncture, counselling, stress management classes, physiotherapy, dietician involvement chiropractic treatment and or referral to a (private) pain management clinic. “Louis Theroux, is concerned that by not allowing (mostly) competent patients to self manage their own pain.....our public health system will become completely overburdened and patients unable to secure legitimate medication to control pain (as they have previously done) will resort to other means to obtain the same product. He also commented that Australia already has quite a good safety net system in place whereby people are required to ask for the medication over the counter, and need to talk with the pharmacist BEFORE purchasing the product. People's names and addresses are also registered with the Pharmacist selling the product, so repeat medication shoppers can be identified, and the repeat sale of pain medication denied them or restricted. “Unlike the USA (which does have a massive problem with the illegal and unsafe use of EXTREMELY strong pain medication (most of which is NOT even available here in Australia) Australia does not have this same issue......After January 2018, this may all change......one has to wait and see. (above) Prisoners from "The Arches" AngliPrison do drug recovery courses in the Port Adelaide library where they talk nostalgically of life in "Real Prison". One woman AngliPrison prisoner will do all kinds of things for five cigarettes. (above) The Port Adelaide library is feeling the influence of day release prisoners from the AnglicPrison a few hundred metres away. 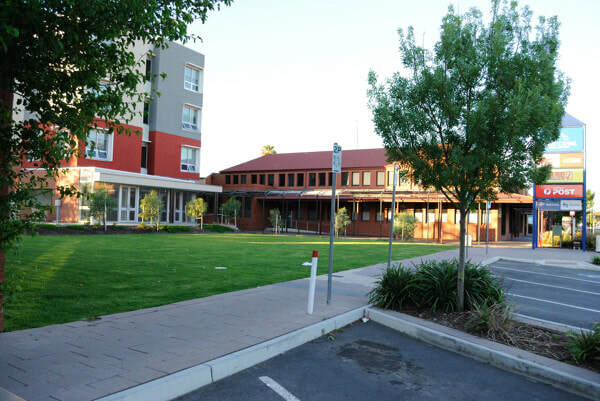 Offender’s Aid has installed itself in the old Centrelink building on Dale Street, Port Adelaide and runs a “Smart Recovery” therapy group in the Port Adelaide library. The participants are mostly Ice addicts who wear ankle bracelets and are from Anglicare’s “The Arches” prison next to UnitingSA and Rite Price supermarket. One of the “Smart Recovery” conveners is a former heroin addict. In one session, the “Smart Recovery” participants talked glowingly of life in prison and all the good things they were missing from it. 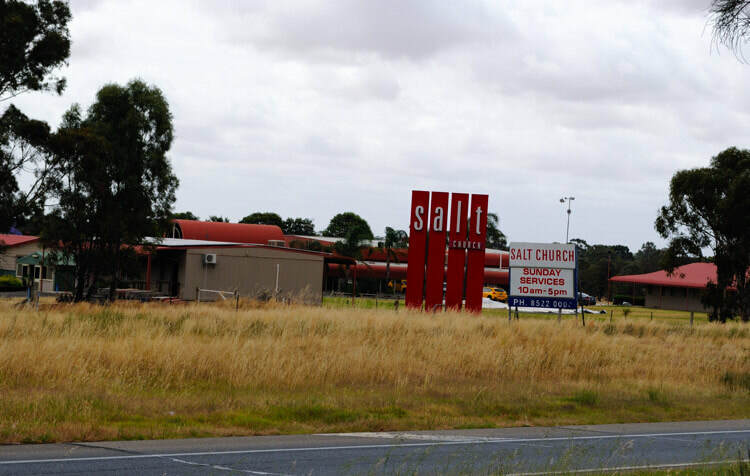 A man who left the room was heard saying that he was from UnitingSA’s “Partners in Recovery” program and is on a waiting list for a Drug and Alcohol Services South Australia rehab course. The newspaper table at the Port Adelaide library is frequently occupied by intense young men working on their phones ̶ and they aren’t Mormons. Other library clients at the computers wear ankle bracelets or sit on the benches outside the library for hours at a time. Ice addiction and its aftermath is now the cultural norm at the library and is the direct influence of the AngliPrison. This is dramatically different from the negligible effect that the Archways Rehabilitation Centre had on the library when it operated on the site now known as the AngliPrison. The incarcerated drug addicts on day leave now share the same large room as the childcare area. The room is being re-designed to resemble a prison exercise yard where everyone is visible all the time. Library staff are re-inventing the library by systematically getting rid of those pesky books and shelving. Though to be fair, two of the best disability Carers I’ve seen are both convicted killers. Also, library staff are helpful to disabled and homeless people. St Luke’s has lifted its game in the restaurant business with its Tuesday and Wednesday noon lunches. 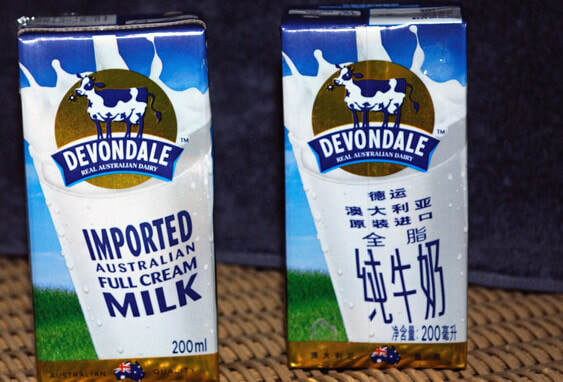 They cost four dollars, which is more than WestCare at $2.50 and Hutt Street Centre at $2.00. The Wednesday before last, they had “this French girl and this other cook who cooked ‘all sorts of weird stuff’”. The historical buildings create an atmosphere of ease and that person who kept defecating on the footpath has found a new place to go. Last Sunday evening, they charged $4.00 for the evening meal and gave away soft nectarines, flavoured milk, packets of herbs. St Lukes reputedly get a “better crowd”. 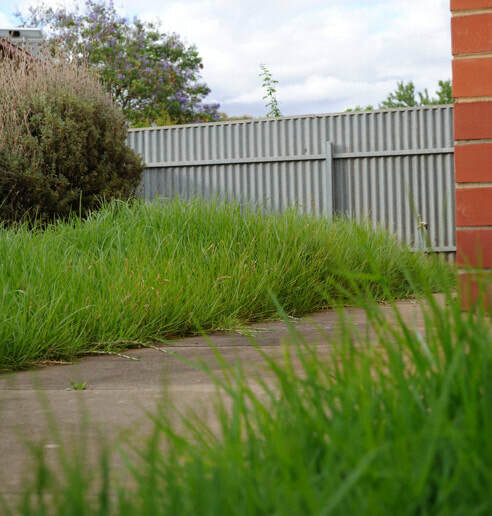 (above) Anglicare's Lifestyle Inspector said during a lifestyle inspection of tenants that the grass cutters had stopped due to their contract being renegotiated. However, the Lifestyle Inspector's contract was up and running. A 40-year-old hairdresser at a free Adelaide hairdressing joint told a 68-year-old semi-derelict client how her elderly husband sat her naked on his knee and then spanked her. She said he was currently working as a teacher in the outback and after she finished would he like to catch the train to her house. “What planet was she on?” the old man later said. “Keep Cool”, a social worker yelled at an elderly Anglicare tenant as she ran to her car, not realising that the heat wave had ended and we were experienced a week of low 20’s temperatures. 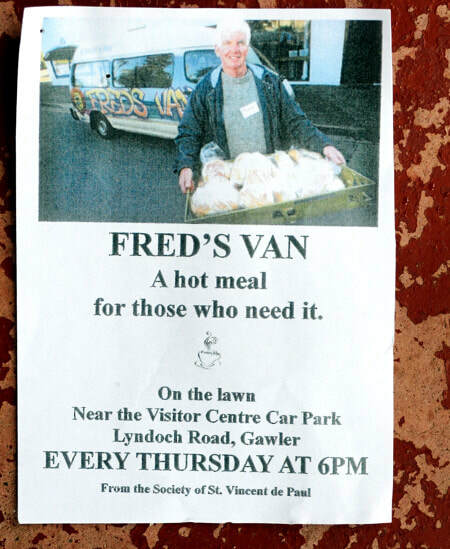 (above) Fred's Van serves a decent free meal every Thursday at 6:00pm under the Lion's Rotunda in Pioneer Park in Gawler, South Australia. No strings attached. (above) This looks like that old guy from St Vincent de Paul who is against violence in the food queue at Fred's Van in the Adelaide CBD. He's a radical: the Hutt Street Centre and WestCare seem to use peer group violence as a controlling mechanism. Frankenstein went to the Mary Magdalene Church hall last Saturday with friends, one of whom said the volunteers served a “killer meal” of roast beef, roast potatoes, peas, carrots, cauliflower with sauce, gravy, apple pie and ice-cream. The heritage building from the 1800’s seems to make people nicer than they are in other buildings. Drunks and drug affected people welcome, but you must sit on the chairs in the laneway, which is the best place, anyway. With luck, you will see the Right Honourable Grinder in person. Free. Every Saturday at 6:00pm. Does anyone know the whereabouts of The Right Honourable Grinder? He had cancer and was undergoing chemotherapy. Grinder is one of the nicest dangerous criminals in Adelaide. Someone you can trust. Train Wreck stood in front of the change machine for ten minutes, coins lying on the carpet while we talked about trains. We remembered the Northern Territory rail line that went from Larrimah to Darwin and ran troops and supplies from the end of World War 2 until it collapsed after Cyclone Tracy. I frequently camp in the bush at Larrimah back of the Pink Panther. Train Wreck said he’d bought a new book about trains. “The Train Book,” he said, laughing in his self-deprecatory manner. Then we talked about Michelle who borrowed a large chunk of his superannuation then failed to pay it back, using the excuse that he’d lose it on gambling anyway so what matter was it that she lost it for him. She applying to join the police, but upon not succeeding decided the Disability Support Pension was her second choice. “She’s in Russia,” he says before we talk about Terry the Gambler. Terry is on a walking frame and yells at other men to stop looking at his mid-seventies girlfriend who no longer remembers her friends. Train Wreck says that when she sees him, she runs away. Other times she stands on the street, confused. Numerous other friends have stopped going to the Adelaide Casino because all the free offers have ceased. The joint is undergoing perpetual renovation in an attempt to rescue collapsing profits. There is disenchantment about winners having to be present when their tickets are drawn. The Man Formerly from Kilburn won $100, but had left the building a few minutes earlier so he lost it. Danielle phoned him just as he got on a bus on the way to another pokies joint. Train Wreck said the others had gone across the road to the Strathmore, but he was worried that an employee there named Jo who asked him about his private life. She’s popular and has been there at least ten years and knows everyone. Train Wreck said he’d been in the new Royal Adelaide Hospital due to breathing problems caused by being prescribed the wrong epilepsy medication. He said when they released him, the nurse said they no longer give free taxi vouchers to get home then gave him one. He laughed at that. Train Wreck is a quality human in that he spends all his money on gambling yet never humbugs others. He is completely trustworthy. He avoids the Salvos on Saturday evenings for fear of the violence. Damian from the SRF began bleeding so seriously that he’s been kept in the Intensive Care Unit for weeks at the Queen Elizabeth Hospital. His condition is extremely serious, but there has been some improvement. “He’s still got tubes sticking out,” a visiting friend later said. Damian is an easy-going client of the soup kitchen for people from Supported Residential Facilities. He brightens the atmosphere for the clients who go to the soup kitchen for better quality food and a change of atmosphere. 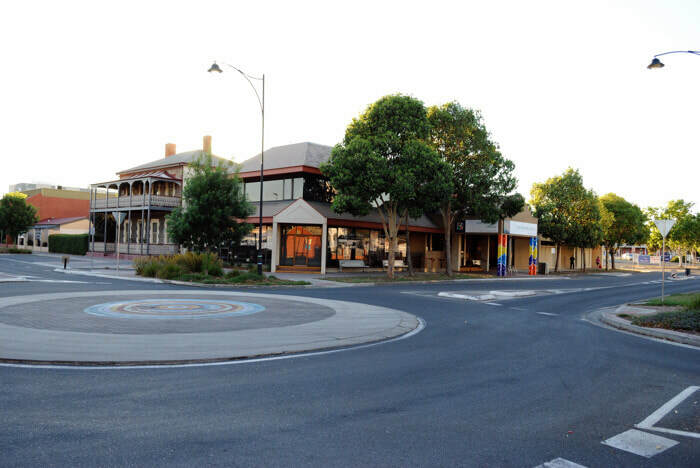 (above) The Salt Church at Gawler offers free bread and vegetables at 3:00pm every Thursday. No I.D. or registration required unless you want access to the secret stuff. 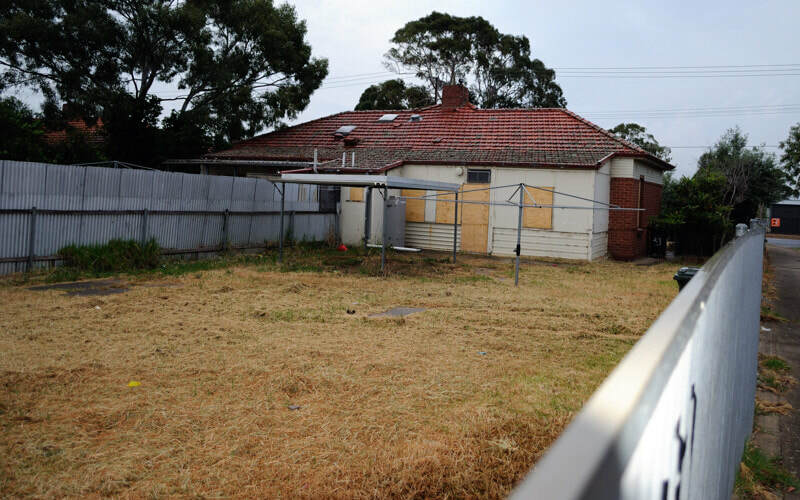 (above) After a light rain fell at dawn on those sleeping outside, boarded up South Australian government houses sit dry and empty. The preacher showed his holiday snaps of his trip to Italy and another place where he did a walking pilgrimage with his wife that followed the path of a Christian saint. With each succeeding picture the preacher appeared more Italian and less Australian, but when he got back to Adelaide he got back to normal. A little boy said Grace and Carina collected names and phone numbers so they could text message diners of changes of times and dates such as cancelling last Wednesday when the temperature rose above 36 degrees. The takeaway free food included 17 chickens (deceased) though the other free stuff was in short supply. Food Bank and Second Bite have overextended themselves across Adelaide and are no longer able to supply decent quantities. They have developed a virtual free food network that doesn’t exist fully in reality. The meal included sausages cooked until most of the fat dripped out, macaroni and cheese plus five or six dishes of rice and pasta mixed with fresh salad vegetables. Dessert was doughnuts and lemon custard tarts. There was also coffee. The Night Stalker approved of the meal, which was a big change from his visit to the Rapid Relief barbecue in Port Adelaide when he rushed across the plastic grass then out to his car where he vomited. Damian (not the QEH tube Damian) was there with his Russel Crowe Carer and the latter’s wife, Norfe. Damian has six Carers. He can hardly move his body, but his conscious mind watches the world. Old Bill talked of taking care of his wife for twenty years when she had brain tumours. Another guest talked about life speeding up and that each move included trillions of little movements that made sparks come out of the tops of peoples’ heads. The last Wednesday gathering for 2017 is on 13 December followed by a special Sunday afternoon gathering on 17 December in the park across from the church. Usually pretty good. Ice dealers not welcome. A boy and a girl aged six or seven looked up as a middle-aged man made a typical middle-aged man joke. Was it a blend of fear and numb indifference in their lack of reaction? Their mother was quiet and wary as if sensing another mood underlying the friendly joviality of the St Vinnies volunteers and approximately 27 clients. They served us steak and onion pies, cheese and spinach pies, pasta and sauce, hot dogs, potato bake, huge slices of cheesecake in three flavours from The Cheesecake Store, containers of cashew and almond butter (not popular), oranges, bottles of cold fruit juice, tea and coffee. Then, as if the van had been a mirage in the fabric of time, the rotunda was empty of people and tables, and the van gone. Thursdays 6:00pm. Free. No I.D. or registration required. Sausages, hotdogs, hot food, tea, coffee, dessert and a box of free books. 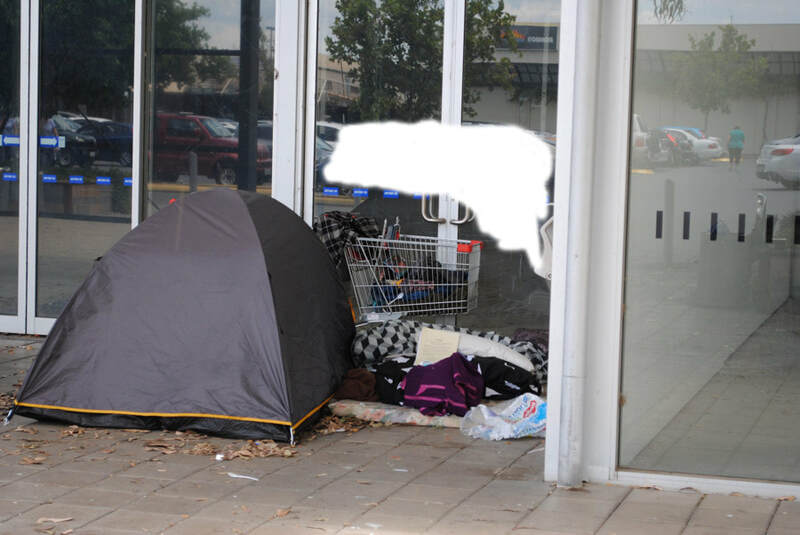 (above) As those living on the streets become more numerous and visible, the South Australian government issues statistics to show the numbers have risen only marginally. And Dr Alice Clark of ShelterSA mutes her criticisms because she is the mouthpiece of the homeless industry racket. Happy Christmas to one and all!!! The Beast has taken over the small benevolent housing association known as Jubilee Homes in Ridleyton. Jubilee used to be the cheapest units in Adelaide, but rates have increased since The Beast took over their administration. Being part of the Community Housing network, the transfer means that placement into these units will be more luck and a decision or desire of the prospective tenant. Residents of the unit are proud of the quality of their neighbours including the famous theatre actor, Russell Starke ― if he is still alive. Greg said that Food Bank supplies “...70% of all food required by the welfare sector.” He also agreed with a journalist that they serve 102,000 people a month in South Australia. These statistics are questionable because as the quantities given away are decreasing, individuals are going to multiple distribution venues. Nor did he break down the statistics between those that got free food and those who paid the market value for food that previously was recovered for free by poor people from supermarket rubbish bins. These are things he cannot talk about. 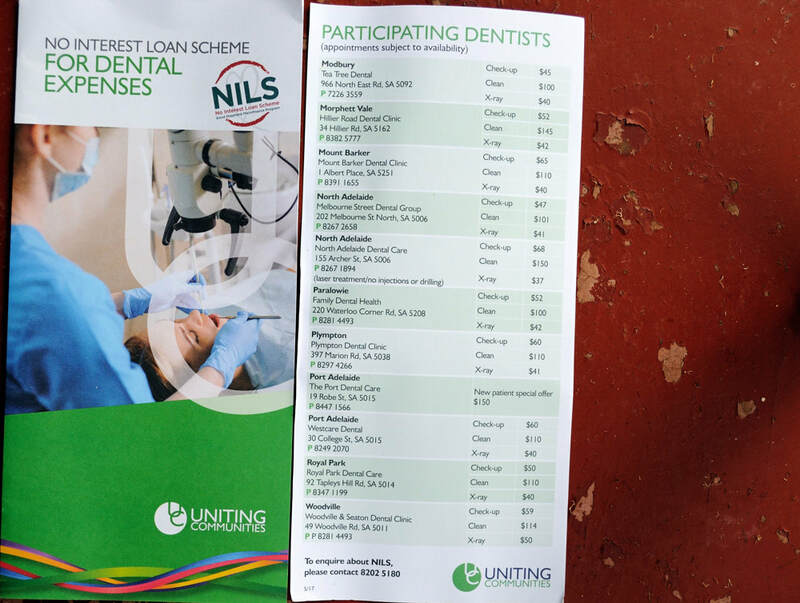 Meanwhile, SecondBite is rumoured to be data matching their clients who are usually required to produce a Health Care Card to get free fruit and vegetables. They want to know how many people are going to multiple SecondBite free food distribution points. The army veteran with bleeding arms who fell on the back of his head the previous week arrived for breakfast. He was in worse shape than last week. He seemed unable to talk and could hardly move. One diner said he was a fake veteran and “that’s what drugs do to you,” but The Night Stalker treated the nearly dead fellow with consideration and ensured that he was served breakfast and was as comfortable as he could be. A woman who was brown the previous month wore a short-sleeved dress, but had turned white. She used to be white all the time, but drugs changed the colour of her skin. Reviews about Adelaide CBD and suburban soup kitchens are lumped under the generic title, “At the soup kitchen,” in order to protect our correspondents. The elderly worker who has served at Fred’s Van for eighteen years was there. She went around and welcomed those standing away from the queue. She said a number of clients lived at the hospital. The fisherman from UCare was there. He was in a good mood, as usual. Before Fred’s Van arrived one of two fat man walking across the park yelled that he’d “see you in court the next day”. The food was hotdogs, meat and salad sandwiches, pizza, macaroni, coffee, tea, milo and maybe other stuff. The mood was excellent with six or seven drug addicts being present though it was hard to distinguish between some psychiatric patients and addicts as they often use similar drugs. Photograph of The Show Pony (Mark Arstall, 38) given freely to Mark Brake of the Adelaide Advertiser and published by the webmaster of the Hutt Street Centre on their webpage.